She has been nothing less than incredible and I know if it was not for Carol and her patience, support, experience, knowledge, understanding, and most importantly her empathy this would not have come to pass. I count Carol as a trusted confidante and a friend and you can take this to the bank, if I ever decide to buy a different property or a friend asks me for an agent to work with in the Longboat Key area, you bet there will only be one that I would recommend, Carol Cohen. We recently purchased a condo at the Sanctuary on Longboat Key from Carol Cohen. Carol was extremely helpful, thorough, low pressure and kept us apprised of all developments as they occurred. I wanted to drop you a note to let you know what a great job Carol Cohen did for my wife and I in our recent purchase of our new home. I've been involved in all aspects of commercial and residential real estate in my career and have bumped into a lot of Realtors in that time, Carol provided one of the best Realtor experiences I've had. She is bright, personable and very professional in her work. We really appreciated Carol. She now has our listing to sell our old home which I have no doubt will sell quickly with Carol on the job. Take good care of her she is a 'keeper'. My husband and I recently purchased a condo at Longboat Key, Florida. Our agent was Toni Lyon and the sellers' agent was Carol Cohen. This was an impulse purchase on our part. We had never been to that area but had friends there who raved about Longboat Key. When we decided to take a quick trip there I contacted Toni (she was recommended by a friend). For several weeks before the trip, she sent me listings and gave me information about the area. She was very patient and answered numerous questions from me. We decided to visit four listings just to see what we thought of the area. Carol Cohen and Toni showed us two properties in the Sanctuary. When we saw the second one we said: “this is exactly what we want”. We came back for two more visits – Carol was very helpful and showed us the entire property as well as introducing us to several residents. Carol and Toni were very patient and answered all our questions. We came back to Kentucky and two days later decided to make an offer. Toni and Carol were very helpful in taking care of all the details by phone, text, and email. Our closing was on April 2. Carol and Toni have continued to be helpful well after the closing. Carol continues to introduce us to our new neighbors and to make sure we have information about the condo. Toni has taken us to dinner as well as giving us a very generous gift for our new part-time home. I now consider them both new friends. I would certainly recommend them to anyone buying or selling in this area. They made what could have been a long distance ordeal into an easy experience. We appreciated the considerate and efficient service that Carol Cohen provided in our search for a home. Carol patiently showed us many possibilities that resulted in our purchase. The purchase was awkward for her because she is both the listing and selling broker. As a Michigan broker myself, I appreciated her even handed handling of her dual responsibility. She provided the information that we required without in any way divulging any information that related to her relationship with the sellers. Carol is a very professional, efficient and pleasant person to spend time with. - Herman & Sharon F.
We worked with Carol in our search for an LBK condo for over 2 years. The market and our perceptions of our needs changed significantly over the period and she efficiently reacted to these circumstances. We have sold and bought numerous residential properties and Carol ranks right up at the top ranks of our agents-including those in the Upper East Side of Manhattan. We would recommend her without hesitation. 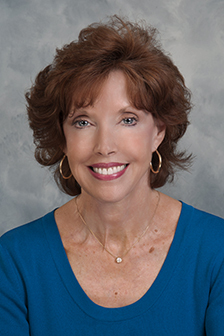 Thank you to Carol Cohen for the outstanding service I received in the sale of my St Armands residence. Having worked with at least 50 agents over the last 40 years I can honestly say that the effort, communication, and the professionalism shown by Carol and the Michael Saunders & Company staff was absolutely the best I have experienced. Carol went well beyond what I had expected. Carol was at every showing; held numerous open houses; communicated with my second mortgage holder and kept on her goal of closing the transaction. We heard about Longboat Key and were interested in acquiring a property, we knew what we wanted, but were unfamiliar with the area. We encountered the indefatigable Carol Cohen, not only did she find us exactly what we were looking for but was tireless in showing us available properties. Carol is very professional, knowledgeable, charming, and an outstanding ambassador for Longboat Key. What impressed us most was her after sales service, she was always there for us with any questions we had. I can say with some degree of confidence, Carol is right up there with the best. - Michael & Eve W.J. My parents always knew they would would list their condo at The Sanctuary with Carol Cohen because she is a resident at the Sanctuary and she always presented herself as a true professional. They listed with Carol in April and returned to their home in Illinois. Carol stayed in touch with them on a regular basis, at least once a week and whenever there was a showing. She was very patient and caring. The condo sold and everything went very smoothly. Carol went above and beyond "the call of duty" throughout the process. We could not have been more pleased! She is the best in our book! We met Carol a few years ago and she left a positive, professional impression. This time our parameters were more specific, i.e. beach access, price range, and our 60-pound dog. Carol showed us five properties one afternoon, one of which we closed on one month later. Along the way she communicated, advised, and answered all our questions. We would not hesitate to provide referrals. - John and Andrea W.
Carol Cohen is intuitive and honest, as well as simply a delight. We never felt rushed or pushed in any way. Her knowledge of the market was simply priceless. Carol worked so well with everyone during the entire process; she has a natural southern charm that cannot be denied. We felt very reassured that she truly had our best interests at heart. Carol worked hard to make everything clear for us and was so straight forward and honest that we knew we could trust her. We love our place but when the time comes to move to a larger property, Carol will be the first one we call. We sold our Sanctuary condo 5 days after we listed it with Carol. Carol is very professional, honest, diligent, knowledgeable, polite, patient and considerate. She has always taken our calls or returned them quickly. She is very prompt with appointments. She did not waste our time with unrealistic offers and was able to limit our viewings to those properties she knew would be of interest to us. She lived up to all our expectations. Working with Carol Cohen was absolutely delightful from start to finish. She went above and beyond to research places that fit our criteria and did not waste any of our time. Ultimately, we found a place that we absolutely love. The qualities that impressed us most were Carol’s attentiveness, guidance, organization, and assistance during the entire process. She was very responsive with all of our questions and extremely quick to follow up regarding any concerns we had along the way. We would wholeheartedly recommend Carol to any of our family or friends who wish to buy a property in the area. - Raman, Shashi, & Ritu D.
I'd like to recognize and thank Carol Cohen for her great efforts, compassion and insights with the recent sale of my father's Marina Bay property. Carol's enthusiasm and thoroughness in preparing the apartment for listing and final closing helped us walk through the process without hiccups and the worries of being out of town. Carol's superior use of communication and technology was key. But it was her commitment, insights, and follow-through that made the process superb! Great job Carol! If and when my husband and I decide to buy in the area, Carol will be our agent! Carol Cohen was extremely helpful, thorough, low pressure and kept us apprised of all developments as they occurred. We would recommend Carol without hesitation. - Sue and Bob S.
Carol Cohen demonstrated professionalism during every step of the sale. We were very impressed with the way our property was marketed and how quickly she brought a qualified buyer to the table. She accompanied all showings, provided immediate feedback, informed us of all activity as well as assisted in arranging for any and all maintenance needed during the listing period. We would highly recommend Carol to anyone considering selling their property.